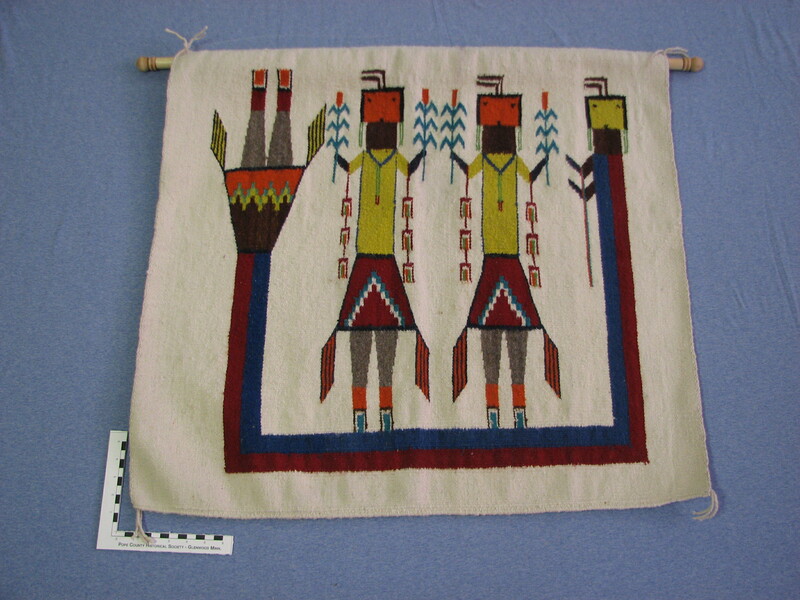 This week’s item is a Navajo Wall hanging featuring yei, the Navajo holy figures that the yeibichai portray in the dances and ceremonies. The square heads indicate they are female yei (males have round heads.) The figure wrapped around the yei is the rainbow yei. We now understand that the wall hanging does not depict the dancers, but the holy figures themselves. This entry was posted in Collection Notes and tagged A-Z, Cleora Helbing, museum collection, Native American art, Navajo, Yeibichai dancers. Bookmark the permalink.